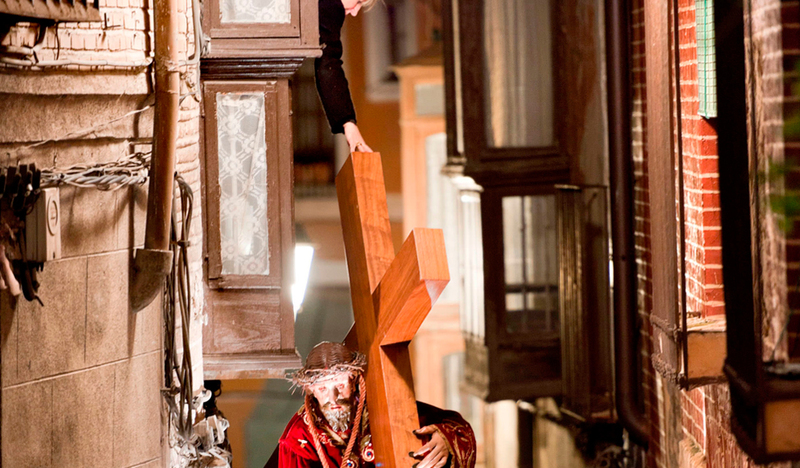 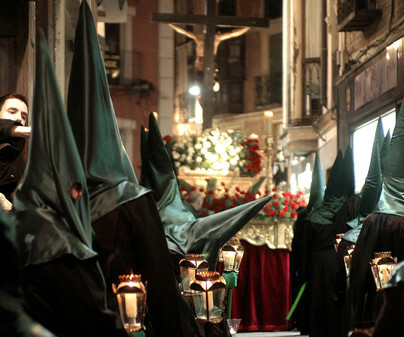 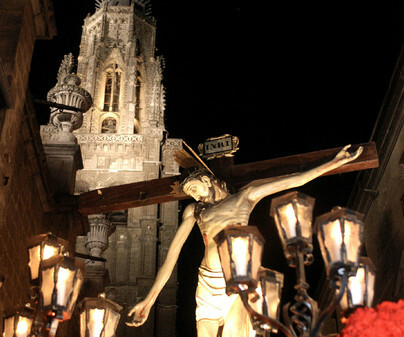 The silence, the night and the beauty of the city and of the images elevate Easter in Toledo to its utmost expression. 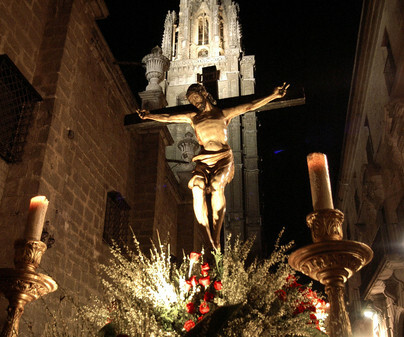 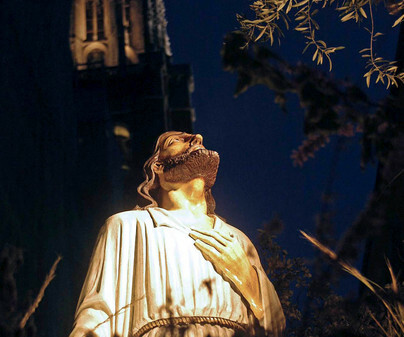 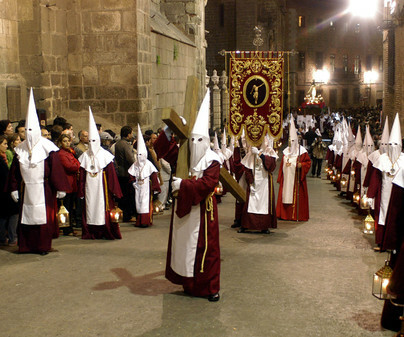 With the streetlight switched off in the historical center of Toledo, the brothers wait, until 1 at night, lighted up by the faint light of their small lamps, for the image of Cristo de la Buena Muerte to go out. 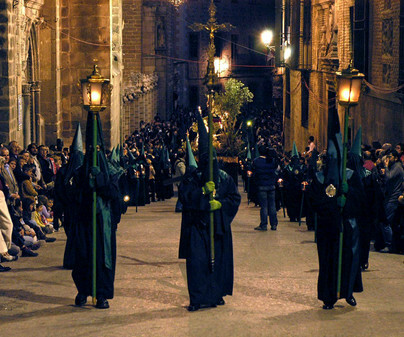 But this is only an example of the eighteen processions that, from Friday of Sorrows to Easter Sunday, will go around the narrow and sinuous streets, a feat of skill, effort and devotion. 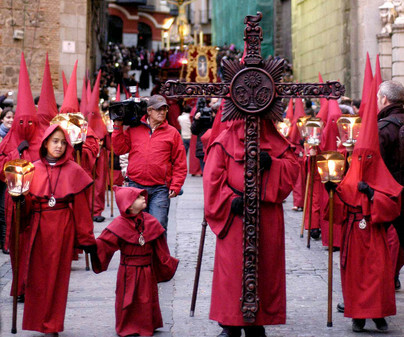 The 20 brotherhoods not only organize and perform the processions, but they are a true reflection of the Toledan history and culture. 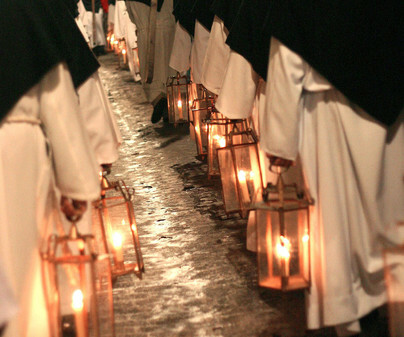 Like the one of the Mozarab knights and dames, the ones founded in the 16th, 17thand 18thcenturies, or the ones that emerged at the beginning of the 21thcentury. 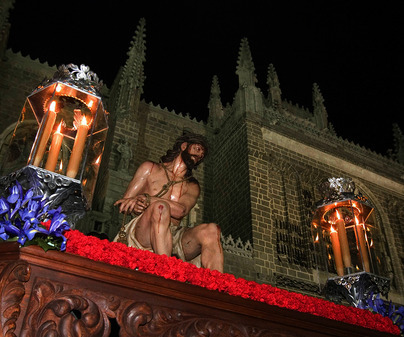 In order to plan the best way to enjoy the processions, it is wise to check their itinerary at the 'junta de cofradías de Toledo’ webpage.